As many homeowners will tell you, mold prevention is a key part of keeping your home in decent shape. Why is mold such an issue? 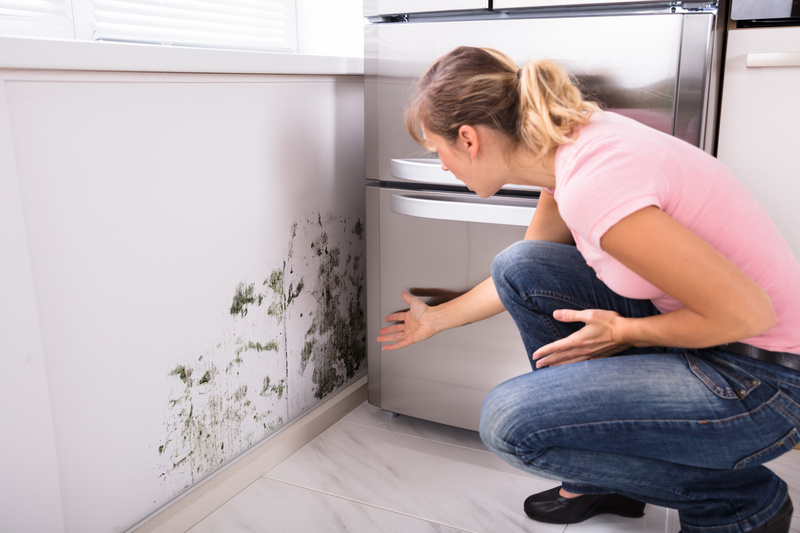 For starters, mold can grow anywhere: on food, clothing, carpet, paper, and so on. It often grows in places you can’t see, such as above ceiling tiles and the backside of drywall. If undetected, mold produces irritants and allergens that may cause various health ailments. Plus, removing mold is often a costly affair. The best way to deal with mold is to prevent it from becoming a problem. Want to know more about preventing mold in the house? Here are 10 tips should provide all the help you need. Though you can’t completely mold-proof your home, you can make it more mold-resistant. This involves doing an audit of your home. Are there any persistent leaks in the house? Have you experienced basement flooding recently? In some cases, you might only need to rip up a carpet in a damp basement to prevent mold from growing. Other times, you may need to turn to waterproofing. No matter what the problem is, address it as soon as possible. The more temperatures drop, the less moisture the air is able to hold. If you don’t have good airflow in your house, that extra moisture could become a problem. Sometimes, it may cause mold to appear on your walls, floors, and windows. How can you improve your home’s circulation? Well, letting some fresh air in would be a good first step. Start by opening doors between your rooms and moving some furniture away from walls. If you deal with wet areas right away, there won’t be time for mold to grow. This includes tackling water accumulation from a leaky pipe or seepage after heavy rain within 24 to 48 hours. In case of a flood, take out any carpets and furniture that you can’t dry completely. This also goes for everyday occurrences. By leaving wet clothes in the washing machine, you’re inviting mold into your home. Instead, hang them to dry in an area with decent air circulation. Are you dealing with crawl space or basement seepage? Most of the time, this means that some water is collecting in the ground around your home. If so, your number one priority should be to slope the water away from the house. To begin with, don’t put your plants too close to the foundation. Every time you’re watering them, some water could escape toward your home. If you’re using a sprinkler to water your lawn, don’t point it too close to the foundation. As you may know, humidity control plays a big part in preventing mold. According to the EPA, you should keep your indoor humidity levels between 30 and 60 percent. You can measure humidity with moisture meters, which are available in most hardware stores. Not sure what to focus on? You can identify excessive humidity by condensation on pipes, walls, and windows. If you notice any condensation, dry the surface and start looking for the source of moisture. Though plants help keep your indoor air clean, they’re also susceptible to mold growth. Why is that? Simple: the moist soil can serve as an ideal breeding ground for mold spores. That said, there’s no need to get rid of your leafy friends. Adding some Taheebo tea to your houseplant water is a great way to hinder mold growth. Even in rainforests, the oil of this fascinating tree can withstand fungi. Have you noticed a musty smell in your basement recently? That could be an indicator of moisture build-up on the floor and the walls. Want to know how to prevent mold in the basement? It all comes down to stopping further condensation. You can do that by installing a dehumidifier or a foundation drain. If you’re dealing with excessive moisture intrusion, hire a contractor to waterproof the area. This should be your last resort, but try not to put off the call for too long. Are you renovating your home or building a new one? If so, consider using mold-resistant products. For example, did you know that traditional drywall contains a gypsum core and four plies of paper? By comparison, mold-resistant drywall is paperless. Instead, the core is protected by fiberglass, which makes it water-resistant. As you can imagine, this type of drywall is useful in areas prone to wetness. Kitchens, bathrooms, basements, and laundry rooms all fit the bill. Mold-resistant gypsum boards are also a decent alternative to traditional drywall. If your roof gutters are full of debris, the water won’t be able to flow through them. The solution is to clean your gutters on a regular basis. Also, watch out for stains on the ceiling after a storm — this is a solid indicator of leaks. Speaking of storms, make sure your downspouts are ready for them. In order for rainwater to flow away from the foundation, the downspouts must be graded properly. If they’re not, go ahead and extend them. Sometimes, even the simplest household tasks can encourage mold growth. This is why your high-moisture areas (kitchen, bathroom, etc.) must have proper ventilation. Any appliances that produce moisture should vent to the outside. Opening a window when washing or cooking is also a good idea. If you live in a humid climate, you may have to use an AC unit or dehumidifier. Of course, keep in mind that these units can produce moisture themselves. To prevent that, clean them according to manufacturer’s instructions. As you can see, mold prevention is not a simple task. Still, detecting problems before they occur is preferable to dealing with them later. These 10 tips we’ve outlined above will help you do just that. Is your mold problem getting out of control? Don’t panic just yet — we can help you out! Contact us right here, and we’ll get back to you.